Netflix just announced an upcoming limited series based on the life of Madam C.J. Walker, America's first female self-made millionaire. Academy Award-winning actress Octavia Spencer will play the role. Madam C.J. Walker's black hair-care business was so successful that she became one of the wealthiest African-American women in the history of America. The show is executive produced in part by Spencer and LeBron James, and based on the book On Her Own Ground: The Life and Times of Madam C.J. Walker, written by Walker’s great-great-granddaughter A’Lelia Bundles. 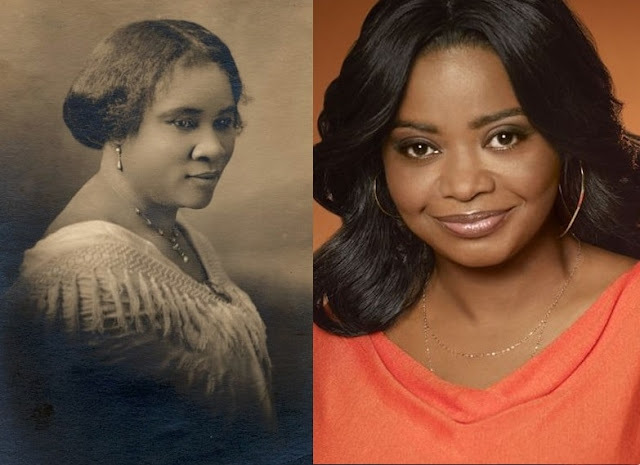 "This is the untold and highly irreverent story of and how she overcame hostile turn-of-the-century America, epic rivalries, tumultuous marriages and some trifling family to become America’s first black, self-made female millionaire." No word yet on when the series will premiere on Netflix, but in addition to the involvement of Spencer and James, the series will be fueled by black girl magic and fans are already salivating in anticipation!